Whether you like fashion or just need a little travel inspiration, here are some Instagram accounts to add life to your feed. Lifestyle Instagram accounts have been popular for some time now. From posting about food, clothes, travel and everyday life, the best Instagram accounts give you a sprinkle of everything. When done right, Instagram accounts can also be a peek into the interests of the person behind the snaps. Why you should follow her: Siphokazi posts a lot of content about body-positivity and self-love. If you are looking for a guide on how to live your best life without limits, this is the account to follow. The way I love myself today has transformed so much. after a long time of shrinking myself and seeking validation, I discovered i had empowered everyone else’s opinion about my body. Today I am able and welling to stand in awe and wonder of my body - and it is through choosing myself that I meet my beauty at this time. I see myself, I celebrate myself and support myself in ways no one else ever will. Self-love is no ordinary love. Be open to what self- love could be for you, be patient when it doesn’t present itself immediately and be free from what it should be - simply honor + love it for what it is. I can’t tell you how it will feel tomorrow. I can’t tell you what will feel difficult or what will come with ease, but keep showing up. Im constantly finding my way around my body allowing the heavy layering of this journey to remind me of the power in choosing myself. What was once foreign to me has now become home. These words will remain a reminder that I am my own before I am anyone else’s. It’s no longer in my nature to settle for the false opinions of others - I prioritize love and that looks like choosing myself. ••• T-shirt from @lulutho_zono Of @respektshirts ••• Share with me below In what ways do you choose yourself everyday?? Why you should follow him: The self-confessed fashion warrior certainly knows a thing or two about style. If you are looking for some great colour schemes or ideas for what to do to make your man look dapper, then Leon is your guy. 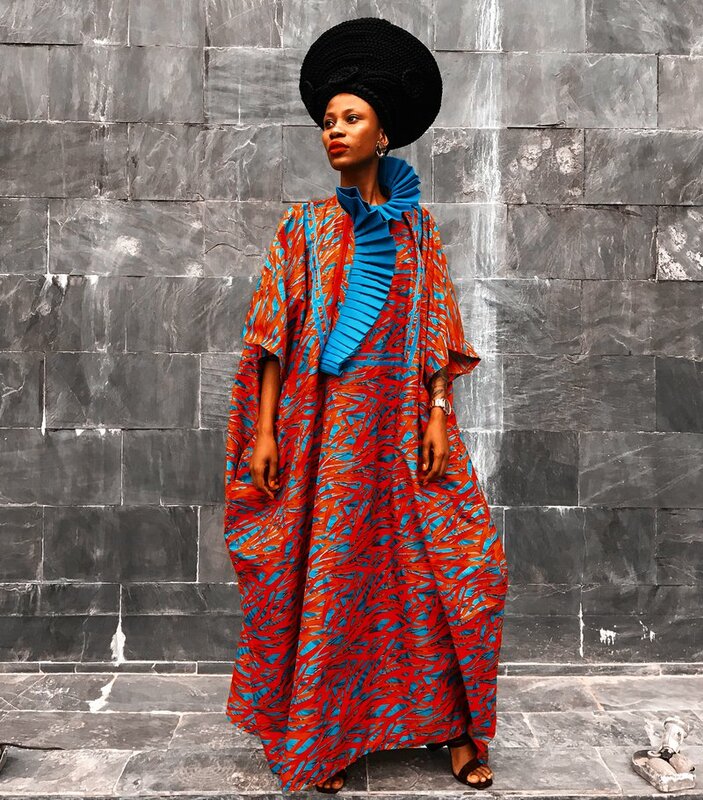 Why you should follow her: Kwena is easily the most stylish person in South Africa. What makes her so enchanting is how effortless she makes it all look. A must-follow for those who love beautiful things in life. Why you should follow her: Lichipan is one of the most famous travel Instagrammers in the world. What you might not know is that she was born in Cape Town. From exotic destinations all around the world, she makes us say: “Take me there,” and we love her for it. What if you simply devoted this year to loving yourself more? . Having a moment of solitude..
Why you should follow her: If you’re in the know, you might recognise Lulama from Tumblr. What you might not know is that she has a highly curated Instagram that is worth a follow too. From pictures of art to behind-the-scenes looks at collaborations, she is definitely an art dealer for the sensitive thug. With great responsibility comes great power. The journey to making ‘abafazi’ stand. Of course, we could not forget East Coast Urban's Instagram account. Why you should follow us: Because our feed is the latest source of all things hot, trendy, and urban that's why! Click here to follow us on Instagram now.